“You’ve been given insight into God’s Kingdom—you know how it works. He continued, “Do you see how this story works? All my stories work this way. “The farmer plants The Word. 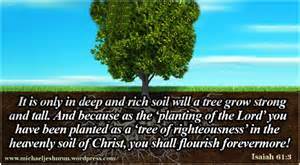 Some people are like the seed that falls on the hardened soil of the road. No sooner do they hear The Word than Satan snatches away what has been planted in them. “And some are like the seed that lands in the gravel. When they first hear The Word, they respond with great enthusiasm. But there is such shallow soil of character that when the emotions wear off and some difficulty arrives, there is nothing to show for it. represents the ones who hear The Kingdom News but are overwhelmed with worries about all the things they have to do and all the things they want to get. The stress strangles what they heard, and nothing comes of it. You know, that request wasn't just for Levi. or His other disciples. or all those we read about in His Word. All the others who are part of our lineage in Him. That request has been handed down from our ABBA since the beginning with Adam and Eve. There in the garden all was as He meant it to be. To walk with Him. Live with Him face to face. Until they decided not to "come along". Instead, going their own way - thus bringing death into the world and the need for our Savior. He is still asking, "Come along with me." It is "you" He desires. the one who "will get it all together and then follow". It is when "you" are His that The Transformation begins. Just as He has with everyone. He so desires for all of "us" to "Come along with Him". There is no greater request. How He so Loves us. "But he had Jesus whipped, and then handed over for crucifixion. The soldiers assigned to the governor took Jesus into the governor's palace and got the entire brigade together for some fun. They stripped Him and dressed Him in a red toga. They plaited a crown from branches of a thorn bush and set it on His head. They put a stick in His right hand for a scepter. Then they knelt before Him in mocking reverence: "Bravo, King of the Jews!" they said. "Bravo!" and hit Him on the head with the stick. When they had had their fun, they took off the toga and put His own clothes back on Him. Then they proceeded out to The Crucifixion. Along the way they came on a man from Cyrene named Simon and made him carry Jesus' cross. Arriving at Golgotha, the place they call "Skull Hill," they offered Him a mild painkiller (a mixture of wine and myrrh), but when He tasted it He wouldn't drink it. After they had finished nailing Him to the cross and were waiting for Him to die, they whiled away the time by throwing dice for His clothes. Above His head they had posted the criminal charge against Him: THIS IS JESUS, THE KING OF THE JEWS. Along with Him, they also crucified two criminals, one to His right, the other to His left. People passing along the road jeered, shaking their heads in mock lament: "You bragged that You could tear down the Temple and then rebuild it in three days - so show us Your stuff! Save Yourself! 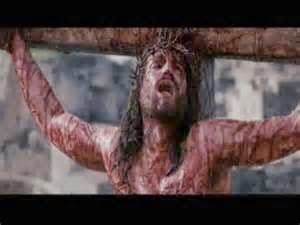 If You're really God's Son, come down from That Cross!" The high priests, along with the religion scholars and leaders, were right there mixing it up with the rest of them, having a great time poking fun at Him: "He saved others - He can't save Himself! King of Israel, is He? Then let Him get down from That Cross. We'll all become believers then! He was so sure of God - well, let Him rescue His 'Son' now - if He wants Him! He did claim to be God's Son, didn't He?" Even the two criminals crucified next to Him joined in the mockery. From noon to three, the whole earth was dark. Around mid-afternoon Jesus groaned out of the depths, crying loudly, "Eli, Eli, lama sabachthani?" which means, "My God, my God, why have You abandoned Me?" Some bystanders who heard Him said, "He's calling for Elijah." One of them ran and got a sponge soaked in sour wine and lifted it on a stick so He could drink. The others joked, "Don't be in such a hurry. Let's see if Elijah comes and saves Him." But Jesus, again crying out loudly, breathed His last. I pray as you read these words they hit home in your heart. 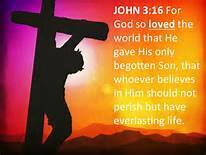 Our Savior was put upon The Cross as the ultimate sacrifice for all of our sins. 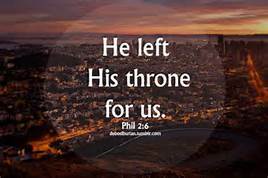 His purpose was to remove the Temple Curtain, which separated us from our ABBA, so we may have an intimate relationship with Him. The Creator of all. ABBA. His greatest desire is for us to be with Him. I can only imagine the restraint our ABBA had to not reach down and remove His precious, pure and Holy Son from this death. From the torture of being separated from each other. His restraint because of His great Love for you. for me. for all. This isn't a story. It isn't a myth. This happened. Recorded in His Word and numerous other accounts, by persons who were eye witnesses. He offered His cheek to be kissed. Knowing. I have always been amazed at this verse. Jesus knew, He knew Judas was full of satan, yet called him, "friend". He allowed him to kiss Him. All the while - He knew. Each time upon reading verses pertaining to Judas, I would put him into a box all by himself. A sin is a sin. Any and all sin separates us from God. Yet Jesus willingly went in the act of Love to The Cross. Forever bridging the gap sin causes between us and God. I never felt I was the same as Judas. Yes, in my life I have sinned. Many a time - and will continue - I am human. The battle to serve God or self will not end until my last breath. But - I never felt I sinned on the level as Judas. There are no levels of sin. Again, I stand amazed at our Christ. Knowing what he did - and still - He loved Judas. He always reached out to Judas in love, grace, and mercy. Judas rejected - not our Christ. And Judas was the one who sinned. Not our Christ. Then He puts into my heart and mind, "Deby, who are you not to extend love, grace, and mercy - to everyone. Who has betrayed you in such a way that Judas betrayed Me? 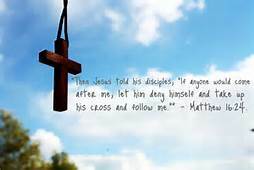 When did you go to The Cross?" There are times when I hang on to the pride, bitterness and anger. Knowing all the while it hurts my Daddy and delights satan. A quote I heard awhile back keeps running through my mind, "Are you entertaining yourself with the sins that put Jesus on The Cross". Through the prompting of The Spirit, I am listening, Trusting, and heeding His urging more often than before. I am finding sins I once submitted to are now distasteful as I am focusing on Him. I am having faith and trust He will take care of those who wish to cause me harm and no longer feel the need to defend myself. I am seeing more of life through His eyes - the spiritual battle - and not taking things so personal, therefore making it all about me. It was while listening to a four part sermon series on Trust by Larry Smith and he spoke about Trusting God through all our steps and I realized it is when we fall back upon our sin filled way of doing things, those are the times we are not Trusting in our ABBA. Those are the times we are walking "our" talk. 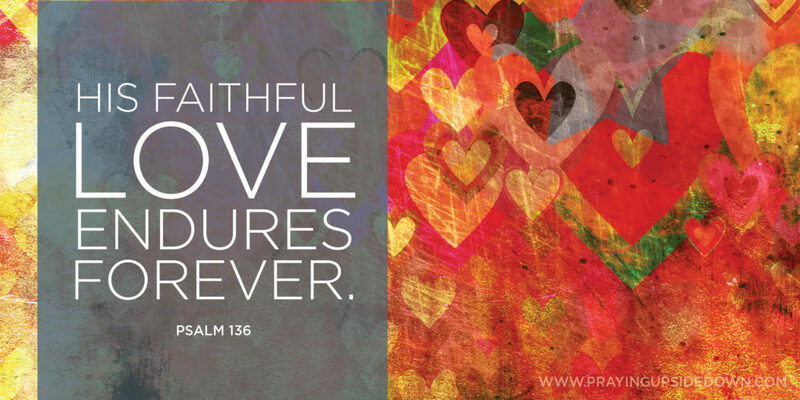 It is only when we learn to totally Trust Him, only then are we able to Love as He Loves. Without any hesitation. fear. doubt. defensiveness. We are able to Love unconditionally. We are able to walk His Talk. We are able to Love without expectations. How He grows us through the freedom of Trust to "let go and let God". 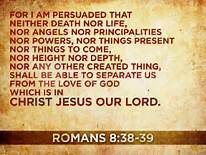 I pray for all to accept our Savior and walk on His bridge to our ABBA. I pray all may know He too is calling them "friend". As He has and is calling His own, "friend". No matter the sin. Trust in Him. His Words of encouragement. His Promise. Our hope in Him. Then, The Arrival of The Son of Man! It will fill the skies - no one will miss it. The Son of Man blazing out of Heaven. What Hope we have knowing. We are one day closer to Heaven. It is such a privilege and honor to be on the invitation list for a wedding and share in a day of celebration. Time, money, sacrifice. Much goes into the planning and throwing of a wedding. And our ABBA. Our ABBA is throwing a wedding not for someone else, but for us. We - who are His Bride. 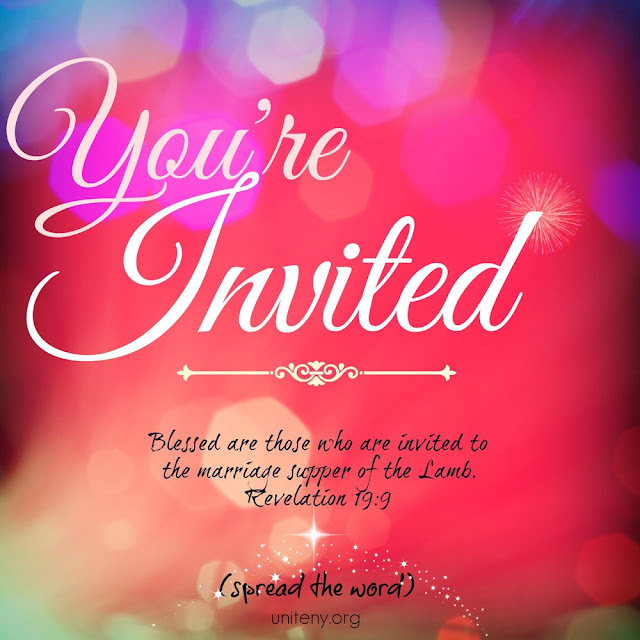 We - who have been invited to the wedding of life. Eternal life. One which we don't want to miss. That was the last thing the young man expected to hear. And so, crestfallen, he walked away. He was holding on tight to a lot of things, and he couldn’t bear to let go. Jesus looked hard at them and said, “No chance at all if you think you can pull it off yourself. Following me into the office to get white paper, stapler and tape to make a book, Charles exclaimed, "Wow! That's a lot of receipts g'ma", as he tiptoed over the sorted piles on the floor. I smiled and said I was trying to get a head start on them for taxes. I also smiled because the receipts were still laying there, work not completed, because I had taken time off to "play" with he and Ella. As I have gotten older, I strive to have our home and business in order. Particularly when we are going to be away for awhile; for I do not want to leave a mess for our family. I desire for their time to be spent comforting and being with each other - not wading through a bunch of disorganized "stuff". But more often than not, everything isn't in order and I sometimes think about the "unfinished" which would be left behind if I were suddenly called "Home". I am guilty of sometimes mismanaging my time, and am striving to do better. I am sometimes guilty of hanging onto "stuff" for sentimental reasons, for reasons of self worth. Actually, for all the wrong reasons. Thankfully, instead of beating myself up, ABBA is showing me improvement and encourages me to continue on the "better stewardship track" of my journey. There are even moments I am able to laugh about things I have held onto and let them go. More importantly though, He has me focused on "whom" I would be leaving behind and that it really is okay to stop and "play" with those He has blessed me with. I am looking forward to going "Home" but honestly, just not right now. I strive to live as though I am dying. But wonder. Is it sin to want to still be here? To be with those I love? Does that mean I am loving them more than Him? Not things, but persons I am clinging to? He knows when my days are finished, He knows my weakness, He knows my heart so much better than I do, He knows I love Him more than those I "hold on to tightly". What kind of steward am I in my time, our home, my heart. Have I emptied myself of "self" to be totally filled with Him? How I love His Word, but am I living it? He tells me the time will come when He calls me Home. Until then, my stewardship will continue. To not overly focus on how I am doing with letting go, but whom I am bringing along, making Disciples. For He has blessed me in knowing, without a doubt, those I am saddened to leave, will one day also be called Home. Home together, "in" eternity with Him. 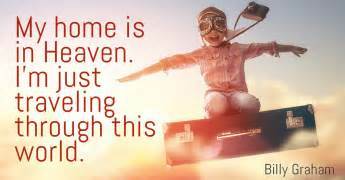 As long as I haven't allowed another to become my god, it's okay to be torn about leaving - for they are my "Taste of Heaven" here on this earth. He is impressing upon me, "Don't take your "Taste of Heaven" for granted". "Don't limit your "Taste of Heaven" to a selected few". He has opened my eyes to the fact - Life really isn't about "the stuff". What freedom comes "as you live, as you go, making Disciples for Him - ever growing your "family". It isn't about the "stuff". It is knowing one day, we will celebrate being together - HOME. My heart hurts just reading these words. Not spoken by Jesus because He isn't of Love, but because He knew their hearts. He knows what is within us. He tells us what is in our heart come forth in our words and actions. My heart hurts when I am as the Pharisees. My heart is overwhelmed by His forgiveness, His grace, His mercy which have cleansed me of those moments. Only because of Him am I able to confess, repent, and continue striving to be more like Him. Him - whom I am deeply, madly, head-over-heels in love with. How thankful I am knowing, without doubt, we "in" Him will never, ever, ever hear these words spoken to us from our ABBA. For "in" Christ - we are His. He is ours. Forever. I love seeing our ABBA everywhere I look. 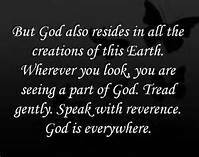 Knowing He is here, within, outside, omnipresent. I love seeing people, this world, through His eyes. Seeing the blessings in every single portion of life. I love feasting my vision on His everlasting banquet. I love hearing His Voice. Knowing without doubt it is our ABBA. I love hearing Him speak to me through His Word, through His Spirit, through His people. I love how He is all knowing, in total control, God. I love how He is "I AM". I love how He designed us to share intimacy in Him and isn't a god who stands afar. I so love how He is our ABBA. Our Daddy. Come to Me. Get away with Me and you’ll recover your life. I’ll show you how to take a real rest. Walk with Me and work with Me—watch how I do it. Close your eyes and imagine yourself walking through this world. Are you bent over, carrying the burden of shame, guilt, mantles of sin? Or are you upright, dressed in His Armor, gliding across the path in His Sonshine, as a dancer on the stage? "I won’t lay anything heavy or ill-fitting on you." His Armor - perfectly fitting. Unlike the Armor of old which could weigh up to 150 pounds, His armor is light and perfectly tailored. Perfectly tailored to meet your needs. For anything and all things you will come up against. An Armor which is given to you by Him. Our Christ. Our Savior, who has gone before us, conquering sin. Our ABBA. Our Leader, who goes before us, directing our steps. The Holy Spirit living within and about us. The same Power that raised our Savior from the grave. 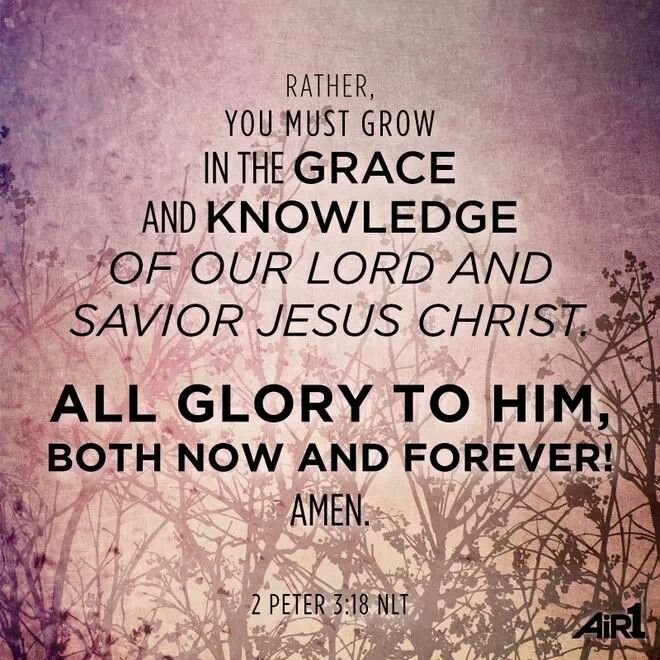 His Word equipping us with The Truth. His Family. Surrounding us and walking in unity. "Keep company with Me and you’ll learn to live freely and lightly." Keep company with Him. Not just sometimes, but all times. In all ways. In all places. Keep company with Him. Close your eyes and picture where it is you live. Is it in the darkness of sin? Or is it in His Light? His all powerful Light which cast out all darkness. "Come to Him. Get away with Him and you’ll recover your life. He will show you how to take a real rest. Walk with Him and work with Him—watch how He does it. Learn the unforced rhythms of Grace." He could have been, you know, the kind of King who is big-headed. Too good for the lowly, those who are beneath Him. He could have mingled only with the affluent, living on the mountaintop. He has the world at His fingertips. He has every reason to be. He is The Son of God. and touched the unlovely. the unwanted. the outcast. the untouchable. surpassed love for the superficial. Holy Love. It is all He is about. Gut wrenching, crucifying, death defying, Holy Love. This is exactly where we are outside of Him. Our Savior. We are wretched and of the earth. And through His Blood He has given us words to live by. and to all who are His. He bent down low to touch each and every one of us. "When Jesus saw His ministry drawing huge crowds, He climbed a hillside. Those who were apprenticed to Him, the committed, climbed with Him. Arriving at a quiet place, He sat down and taught His climbing companions. “You’re blessed when you’re at the end of your rope. With less of you there is more of God and His rule. “You’re blessed when you feel you’ve lost what is most dear to you. Only then can you be embraced by The One most dear to you. “You’re blessed when you’re content with just who you are—no more, no less. That’s the moment you find yourselves proud owners of everything that can’t be bought. “You’re blessed when you’ve worked up a good appetite for God. He’s food and drink in the best meal you’ll ever eat. “You’re blessed when you care. At the moment of being ‘care-full,’ you find yourselves cared for. “You’re blessed when you get your inside world—your mind and heart—put right. “You’re blessed when you can show people how to cooperate instead of compete or fight. That’s when you discover who you really are, and your place in God’s family. “You’re blessed when your commitment to God provokes persecution. “Not only that—count yourselves blessed every time people put you down or throw you out or speak lies about you to discredit Me. What it means is that The Truth is too close for comfort and they are uncomfortable. You can be glad when that happens—give a cheer, even!—for though they don’t like it, I do! And all Heaven applauds. And know that you are in good company. My prophets and witnesses have always gotten into this kind of trouble. ou’ve lost your usefulness and will end up in the garbage. "Next Jesus was taken into the wild by The Spirit for The Test. The Devil was ready to give it. I feel this is probably the strongest example of how essential it is to utilize God's Word in all of The Bible. Christ didn't bring out a sword, or order His army of angels to win over satan. He simply used God's Word. Just as Christ was in the desert, so are we. As we proceed in our journey through this wasteland called "the world", continually marching onward to our home in Heaven, we too are often in a state of extreme hunger and exhaustion. We are made in His image. 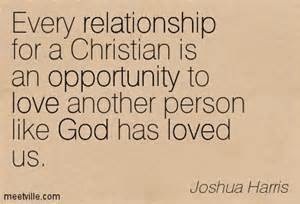 He created us to have one on one communication and life with Him. I don't know if I would have done exactly what Eve did (probably), the fact remains the result of her free choice caused His perfect plan to change. Death and separation came into the world. And also a void. A void in which only He can fill. Without Him as the center of our life, we are going through the motions of living while in extreme hunger. It causes me great sorrow the times I still choose "self" be my god. Those times when I decide my words are smarter and end up causing more pain. When I feel life isn't fair - which often it is not - and take up my words in revenge. Three different times in The Scriptures today satan tempted Christ. And each time He quoted God's Word. Not a sermon - just a verse. It was all about God. Nothing about Himself, His own glory. 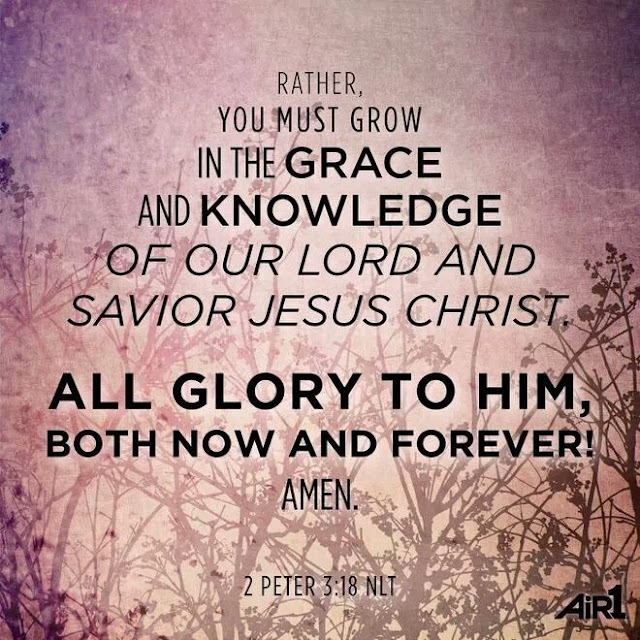 All about His Father - our Father. 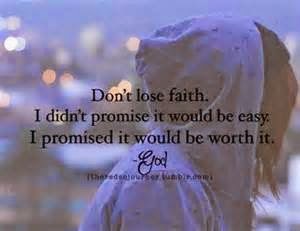 I am finally learning the many times God doesn't make sense to not wonder "why", but to just "do it" His way. When we are at our weakest - He is "our" strongest. Rely on Him, not self. Again, all that Jesus used to fight back with was God's Word. How well do we "know" it? How much of it is tucked into our hearts - at the ready? How often do we fight back with it? How often do we feel we don't know enough of His Word? satan/self like to fool us into believing that when we are at our weakest - we are the most vulnerable and God isn't enough. At these moments, satan is there, like a lion on the prowl, watching, waiting, knowing we will become weak from hunger of not being fed by God's Word. he will and does attack. has you out of his sites. "You" are a major threat. 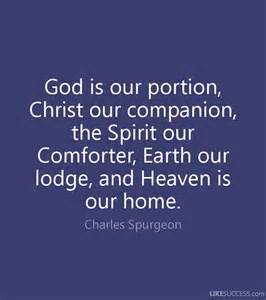 But, neither does our ABBA. The One who is in complete control. That's our ABBA. Our Daddy. The One who sent a personal Love Letter to each one of us called The Bible. The Love Letter with the "secret code" to fight battles while in the desert. The One who sent us The Helper. The Holy Spirit. To ensure we will come out on the winning side. If asked do I believe, I will reply from the depths of my heart, "Yes, I believe in The Father, The Son, The Holy Spirit, and His Word". Yet, do I 100% of the time "walk His talk"? Constantly, I am reminded how much I need our Savior. Continually I strive to be more like our Christ. For those times when I am focusing on my leading, rather than His. For those times when I get in the way or step on His toes. In those steps where I falter or slip, I am so thankful for His grace, mercy, and forgiveness. For those same elements from His family. Each and every day I pray for Him to use me. And each and every day He does. Even when I trip - He uses all for His glory. Our dance isn't about my wanting to be lifted up for all to see. Through His changing of me from the inside out, I am wanting more and more for my life to be for His glory - not mine. I find I do not want any moments of not dancing with Him, because of how "in" love with Him I have become. I want Him to be in the spotlight. Each and every day I pray He will convict me when I am not "dancing His talk". When I feel the need to seek revenge, stand up in defensiveness and self-righteousness when wronged, to feel sorry for myself and attend the "mepityparty". During the times I am acting on the feelings of dancing my way. Regardless of whose feet I trample upon. Even when they are the feet of our ABBA. 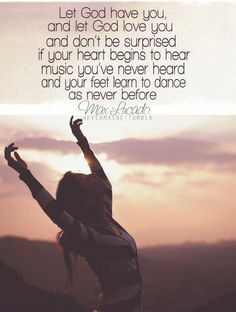 It is during those times when we are dancing to the beat of our own drum. There is much slipping, falling, stumbling, sliding around. It is totally uncontrolled - no matter how tightly we hang onto "self". No matter how hard "self" tries. There is never a graceful rhythm about our steps. There is only destruction. Much like a new snowfall with the marks of an animal fight - their steps and blood have destroyed its' purity, its' beauty. 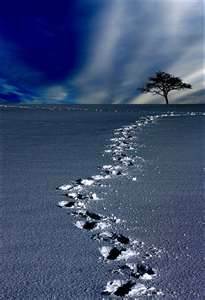 It is only when we "dance His talk" the new snowfall of life holds the pattern of His graceful dance. It is only then the untouched snow surrounding our steps reflect His light - sparkling as diamonds in the sun. God helping you: Take your everyday, ordinary life - your sleeping, eating, going-to-work, and walking-around life - and place it before God as an offering. Don't become so well-adjusted to your culture that you fit into it without even thinking. Instead, fix your attention on God. You'll be changed from the inside out. I'm speaking to you out of deep gratitude for all that God has given me, and especially as I have responsibilities in relation to you. Living then, as every one of you does, in pure grace, it's important that you not misinterpret yourselves as people who are bringing this goodness to God. No, God brings it all to you. The only accurate way to understand ourselves is by what God is and by what He does for us, not by what we are and what we do for Him. In this way we are like the various parts of a human body. Each part gets its meaning from the body as a whole, not the other way around. The body we're talking about is Christ's body of chosen people. Each of us finds our meaning and function as a part of His body. But as a chopped-off finger or cut-off toe we wouldn't amount to much, would we? So since we find ourselves fashioned into all these excellently formed and marvelously functioning parts in Christ's body, let's just go ahead and be what we were made to be, without enviously or pridefully comparing ourselves with each other, or trying to be something we aren't. if you work with the disadvantaged, don't let yourself get irritated with them or depressed by them. Love from the center of who you are; don't fake it. Run for dear life from evil; hold on for dear life to good. Be good friends who love deeply; practice playing second fiddle. Don't quit in hard times; pray all the harder. Help needy Christians; be inventive in hospitality. Bless your enemies; no cursing under your breath. Laugh with your happy friends when they're happy; share tears when they're down. Get along with each other; don't be stuck-up. Make friends with nobodies; don't be the great somebody. Don't hit back; discover beauty in everyone. If you've got it in you, get along with everybody. Don't insist on getting even; that's not for you to do. "I'll do the judging," says God. "I'll take care of it." Our Scriptures tell us that if you see your enemy hungry, go buy that person lunch, or if he's thirsty, get him a drink. Your generosity will surprise him with goodness.